Nike’s wealth of athlete data showed us that the hardest thing for athletes is staying committed to their goals. So we used activity data and chat to get to know consumers personally. 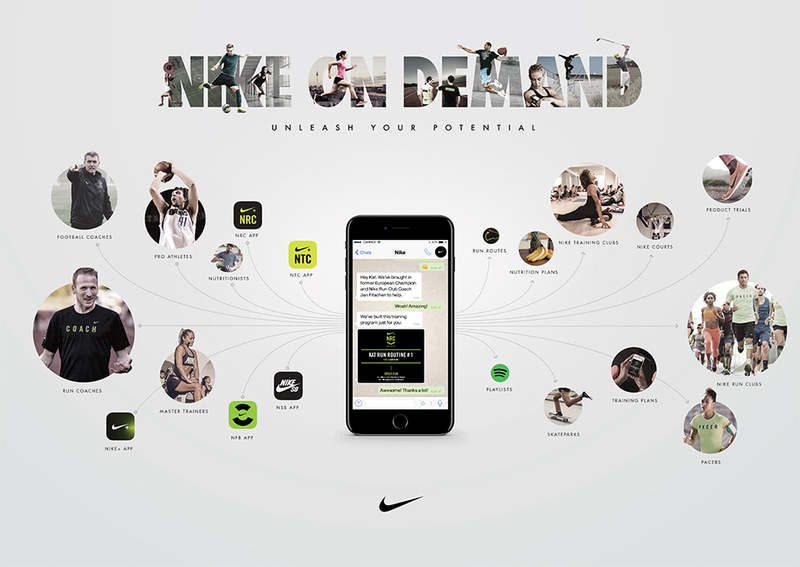 We engaged in ongoing conversations, created bespoke content for individual users and delivered the best of the Nike ecosystem of coaches, athletes, services, etc. all via WhatsApp to keep them on track. We didn’t spam users with mass messages. We didn’t build a chat bot. We didn’t send people to a website. We built the first ever genuine, ongoing, human, 1:1 friendships between people and a brand.